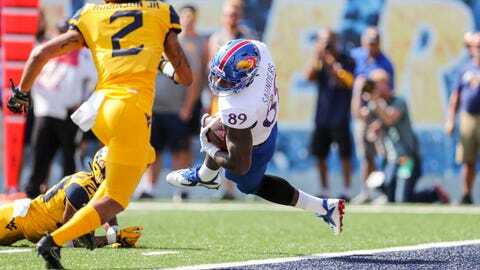 Marvin Saunders caught an 18-yard touchdown pass in Kansas' loss to West Virginia on Saturday. 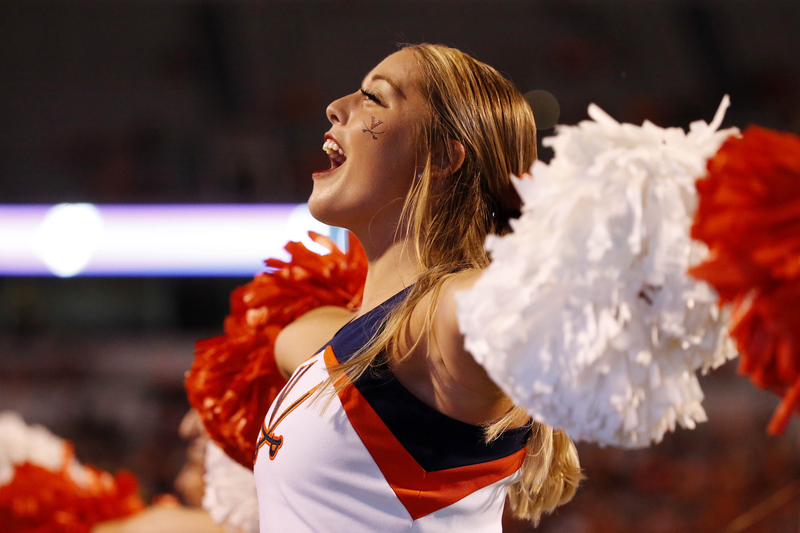 The heavily-favored Mountaineers had no trouble moving the ball, but Grier’s efforts to throw into extra coverage near the goal line cost his team plenty of points. Grier was intercepted three times in the first half either in the end zone or at the goal line, two of them by cornerback Hasan Defense. All three of Grier’s interceptions occurred when West Virginia had driven inside the Kansas 15-yard line. Kansas coach David Beaty praised his defense for forcing Grier to attempt mostly short throws. Kansas: Goal-line stands on defense kept this one from becoming a rout, but the result was the Jayhawks’ 13th straight Big 12 loss. They haven’t won a league road game in 10 years. West Virginia: The Mountaineers put together their best second half scoring in Big 12 play this season after the first-half turnover troubles. They went scoreless on offense after halftime in a 42-34 win at Texas Tech and failed to score over the final 22 minutes in a 35-6 win over Kansas State. On one of his interceptions, Grier chased down Defense after a 60-yard return. Otherwise Defense would have gone for a touchdown.